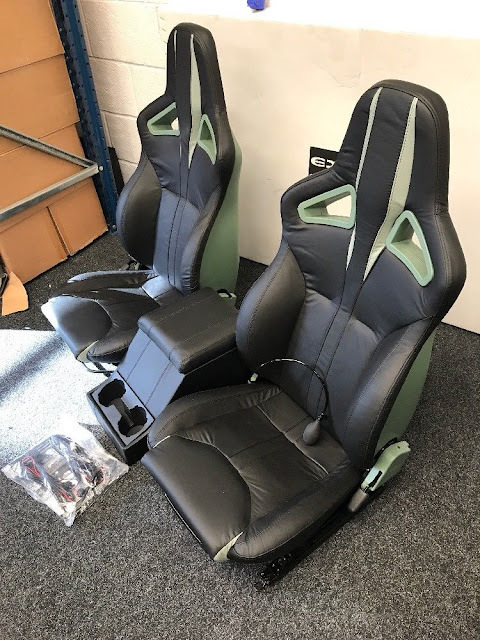 Land Rover E-Sports Seats by Exmoor Trim are a Superior Seat for Comfort and Style. 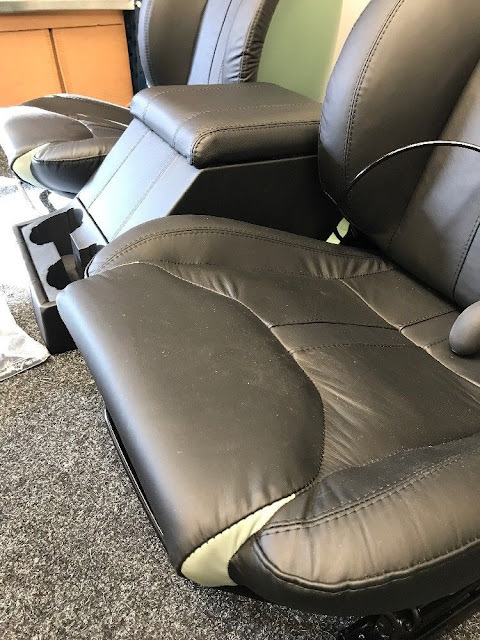 We have this one pair in Black and Heritage flash with Heritage back shells in Finest "Bridge of Weir" NAPPER smooth Leather. 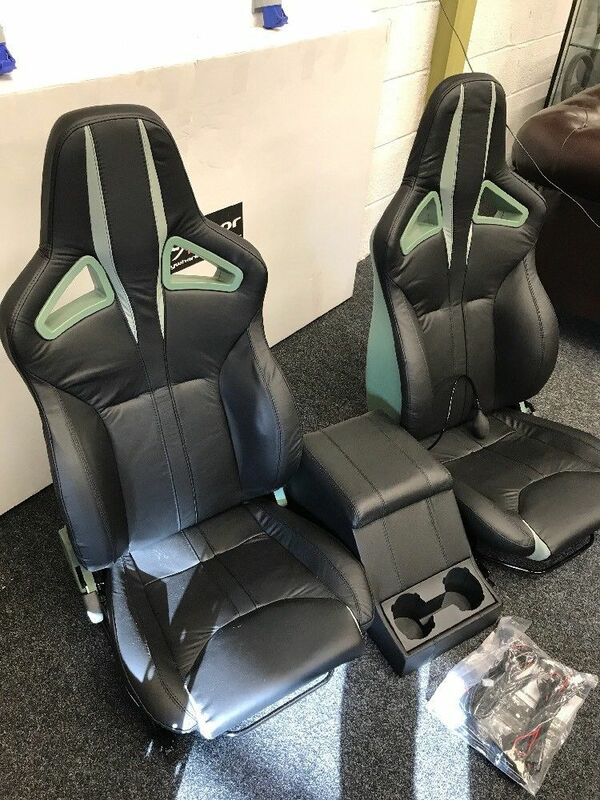 Pair of Exmoor E-Sports Seats Bespoke Black & Heritage Leather - Heated, with Adjustable Lumbar Support. 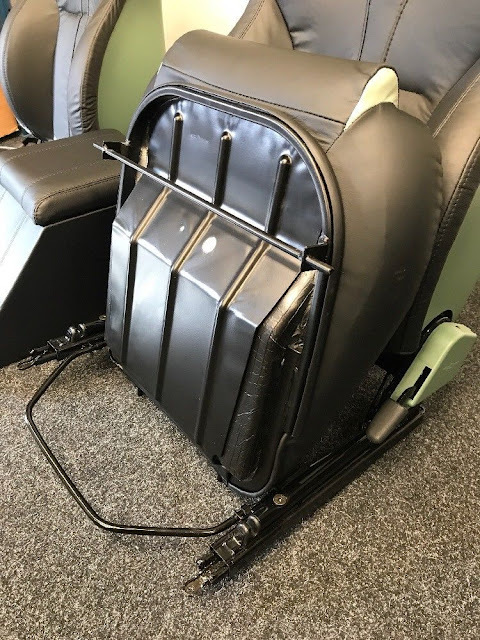 Seats are a direct fit and have removable bases as standard with hard shell seat backs also supplied with test certificates for insurance purposes and fitting guide. 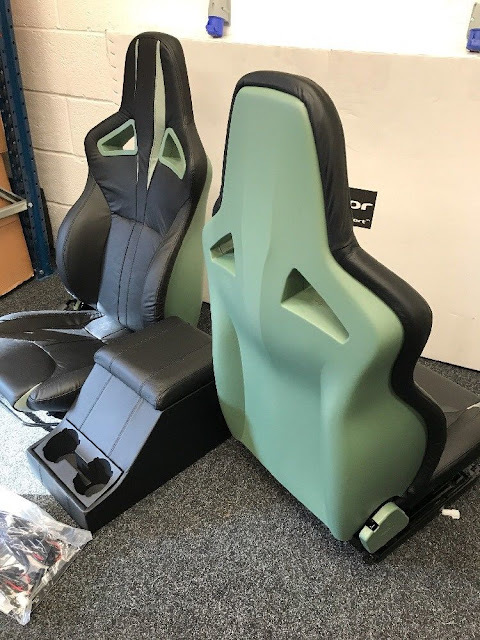 Seats are also heated and can be adapted to fit OEM wiring with simple plug adapters that will be supplied if required. Rear seats cubby boxes, door trims, dash panels Carpet sets and more can also be supplied with matching Leather on request. Please note that if shipping is required outside of the UK, Highlands or Islands please contact us for a price / quotation on delivery first. 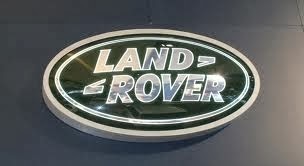 A tax/VAT invoice will be supplied with every purchase, if you are International or EU we can deduct the TAX if supplied with correct registration number, please contact the office to discuss.